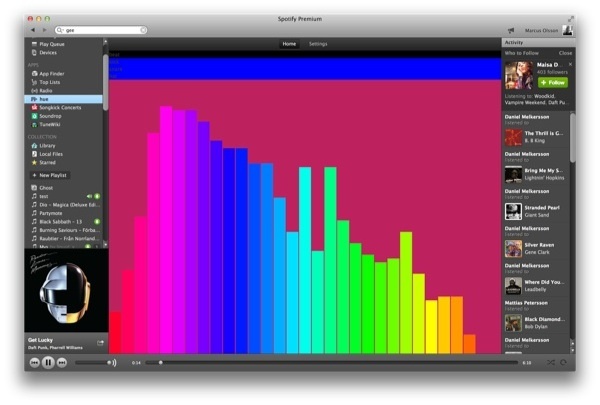 slickstreamer: LED stripe music visualizer. #spotify #RaspberryPi #arduino « Adafruit Industries – Makers, hackers, artists, designers and engineers! Michael Nilsson and Marcus Olsson of slickstreamer have built a music visualizer into a table with LED lights that flash to the beat of the music. 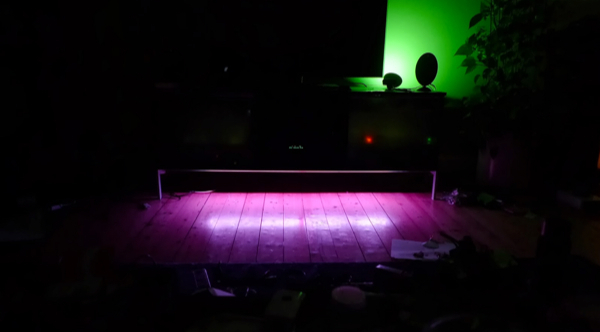 The Arduino is controlling Ikea dioder and are connected to the Raspberry pi using serial port and changes colour in sync to the beat and intensity to the base band. The philips hue is more as some extra mode lights due to the hub is not not fast enough. Have only bean able to get one light bulb blink in sync whit the music whiteout lagging.